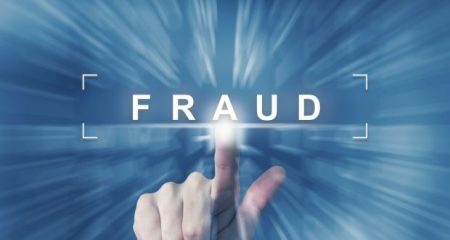 Recent figures compiled by banking industry group UK Finance have revealed that over £500 million was stolen from customers of British banks in the first half of 2018, of which £145 million was due to authorised push payment (APP) scams – referring to when people are duped into sending money to a fraudster’s account. While it is often a bank’s policy to refuse refunds to customers who fall victim to these schemes, financial institutions need to demonstrate a concerted commitment to addressing this problem head-on if they are to keep their customers on-side, by focusing on nullifying the methods that criminals use. This is according to Aspect Software. Of the overall amount of money stolen, £358 million was lost to unauthorised fraud – which refers to transactions made without the knowledge of the victim. While this represents the majority of stolen funds, UK Finance confirmed that two-thirds of unauthorised fraud is thwarted by financial institutions, meaning that banks are having some success in this area. APP, however, represents a different challenge entirely, with regulations meaning that banks are often well within their rights to reject refunds for this type of fraud. “Banks turning down compensation claims due to a customer’s own errors is understandable to an extent. However, banks – like so many other businesses – are customer-focused institutions with a responsibility for those in their care. People are being hit by increasingly sophisticated social engineering schemes and related scams, including SIM swap hacks or posing as a highly convincing text message, email or web page purporting to be from the bank. While Thomson considers it crucial that banks reaffirm their efforts to teach adequate security hygiene to their customers, he also believes that it is time that financial institutions stepped up their efforts to detect techniques such as SIM swap or social engineering campaigns, before taking the necessary steps to reinforce data security measures and shore up the accounts most at risk. Flexible, cloud-based solutions key to workforce optimisation Gig Economy on the Rise: What’s the effect on Agents?